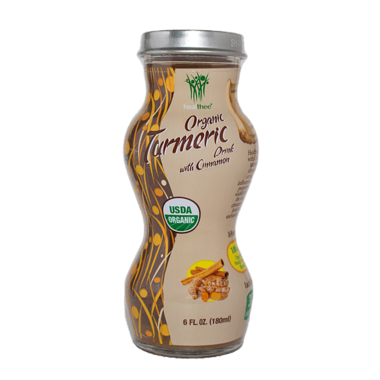 A satisfying way to get the health benefits of organic turmeric, and cinnamon! Turmeric has been shown to have healthy anti-oxidant properties, boosts immune system, and is anti-inflammatory. Drink this warm or cold! 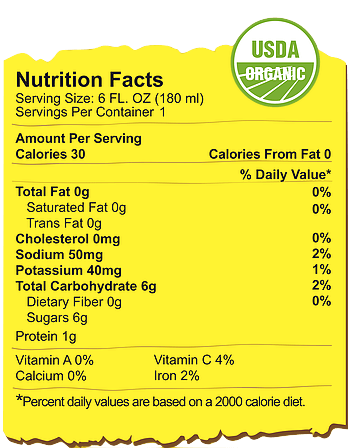 Ingredients: Filtered Water, Organic Turmeric Concentrate, Organic Ginger Juice, Organic Cinnamon Extract, Organic Cane Sugar, Organic Olive Extract, Sea Salt, Organic Black Pepper Extract. I make my own turmeric/ginger/cinnamon/black pepper drink so was excited to find this to drink when I run out of my stuff. I'm glad I only bought one bottle to try. It may appeal to some but for my palate it was too sweet and didn't taste turmericy, gingery, or cinnamon in the slightest. Had a weird aftertaste and texture, possibly from olive extract - no idea why that was added. I shared the bottle with two others who each took a sip and said no thanks so more than 3/4 of the bottle was tossed.